Elizabeth Park Centre offers a very competitively priced venue for your wedding and celebration requirements. The main hall, which can seat up to 120 guests can be beautifully decorated with an indoor marquee to make your big occasion that bit more special. 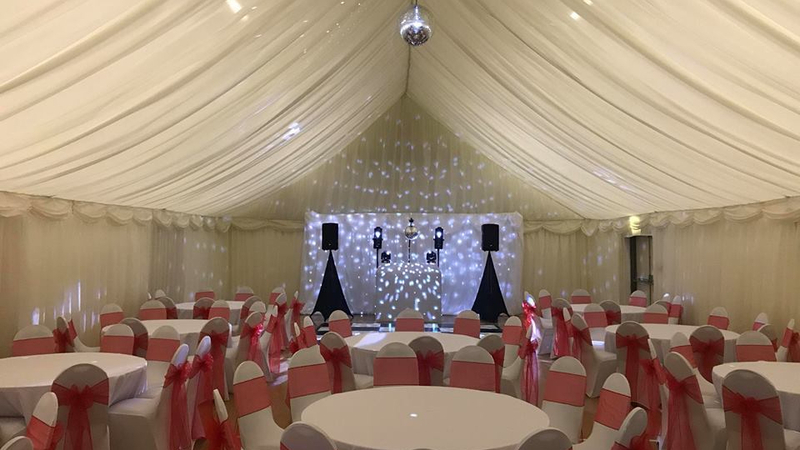 We have proved a very popular venue for wedding receptions over the years, and you can see why after looking at the stunning pictures of the indoor marquee. With a wealth of facilities, and the freedom to create your perfect style to suit your wedding reception, here at Elizabeth Park you can make one of the most memorable and romantic wedding venues possible. If you would like to arrange a viewing of the marquee or would like to get in touch with your party requirements, please do not hesitate to contact us! 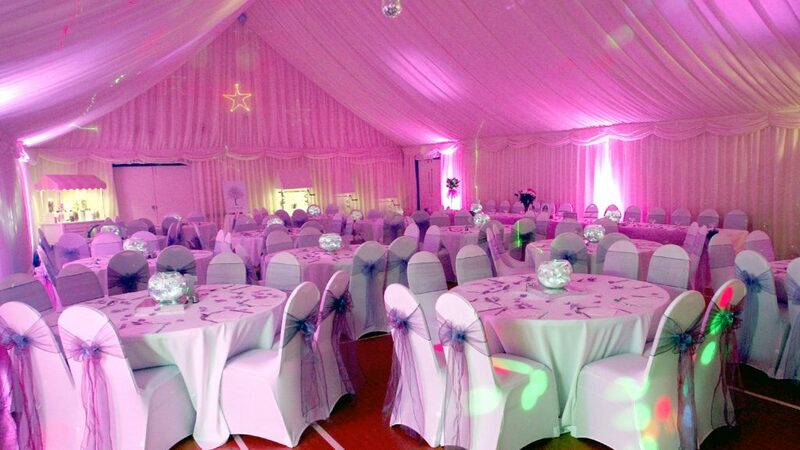 – Stunning Indoor Marquee to fit all of your celebration needs. – Fully stocked and licensed bar, newly refurbished as the Harriman Suite. – LED mood lighting to suit any colour scheme. – Large secure car park. For more information and for a quote please do not hesitate to contact us on 0116 2602519.